Do You Want to Download Anime One Piece? And How to? One Piece (Japanese: ワンピース) is a Japanese manga series written and illustrated by Eiichiro Oda. One Piece has been adapted into a movie and anime series, giving fans the opportunity to follow the monkey D. Luffy through his fun adventure as he tries to be the next pirate king. Are you also a fan of One Piece like me? Still searching for a way to download anime One Piece episodes easily? The good news is coming. In this article, I will provide you with some popular sites you can use to watch and download One Piece full episode for your viewing pleasure. In order to download anime One Piece, a video downloader is a must, right? WonderFox Free HD Video Converter Factory enjoys an excellent reputation among users that it enables us to download videos from YouTube, Dailymotion, Vimeo and more video-sharing sites with a few clicks. Give it a try and you will love it! Animepahe is a website that offers a Japanese anime series that users can play online for free. The site also has an index where users can view the content provided by the site and links to their Discord group. Of course, you can also use the Search box directly to find the anime you want, including One Piece. When you find the One Piece you want to download, click the Download button to get it. Animecruzers.com is the perfect place to watch videos and listen to audios online. It basically provides a perfect platform for uploading, sharing and watching videos. If you want to download the anime you want, such as One Piece, SpongeBob episodes, you have to go to another page. But don't worry, this task is also very simple as long as you follow the instructions to operate. If you want to know the latest news about anime, manga, Japanese culture, games or news, like your idol, just open Samehadaku. Here it will be updated daily with the latest anime including One Piece, Black Clover, Peppa pig and more of popular anime videos. However, you need to go to RiiE.net if you want to get One Piece episodes free download from Samehadaku. 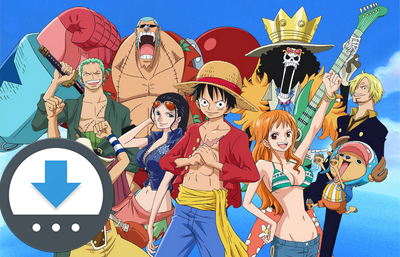 Download Anime One Piece from Mainstream video-sharing Sites Like YouTube, Dailymotion, etc. 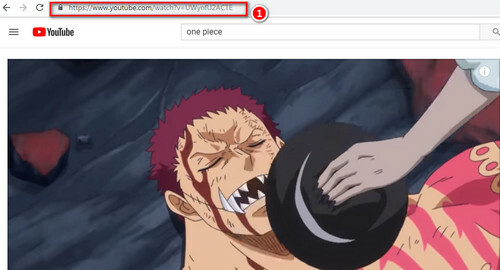 I tried to search One Piece full episodes in mainstream video-sharing sites like YouTube, Dailymotion, Vimeo, etc., but unfortunately, they only shared a certain episode or some video clips. Of course, if you just want to download the clips, then these mainstream sites are another option. WonderFox Free HD Video Converter Factory is a very popular professional fast video downloader that allows us to download Anime One Piece video clips from above websites. Now, free downloadfree download this software and let’s go for the details. In order to download One Piece episodes clip, first of all, visit YouTube and enter One Piece in the search box. Find One Piece episode clip you want to download and copy its URL. Free downloadFree download, install and launch WonderFox Free HD Video Converter Factory on your PC. Click on Download Video button on the menu bar, and paste One Piece video clip URL into the Add URL box. 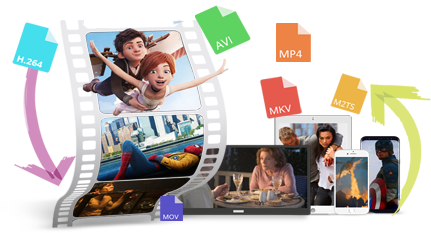 Then click on Analyze to get the One Piece video information, after that, you can choose desired output video format, video resolution as well as video size. Finally, set the output path for saving your One Piece episode clips and click on Download button to finish the whole process. The above methods are for personal use only. WonderFox never advocates any illegal downloads, please ensure that your actions are legal in your country. The downloaded files cannot be used for any commercial activities. The above is the whole content of download One Piece full episode and clips. Is it very simple? Enjoy the time you watch One Piece offline! Finally, you can share this article with more people. Sometimes, One Piece episodes we downloaded may not be compatible with our devices and cause playback to fail. In this case, we can convert the downloaded videos to another compatible video format, and WonderFox HD Video Converter Factory Pro can help us convert multiple videos to the format we want at one time. Just have a try!